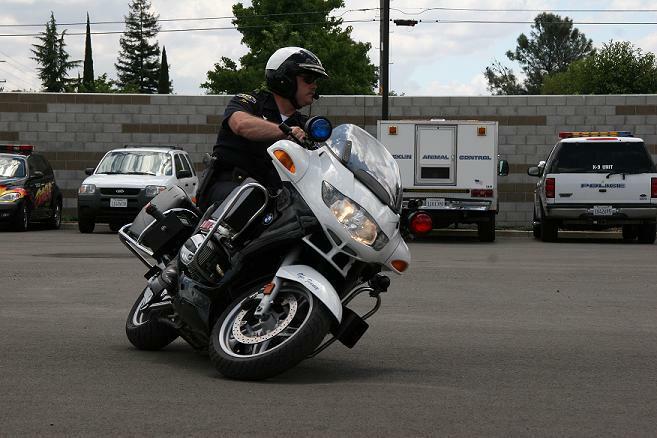 The Rocklin Police Department has motorcycle officers who are dedicated to enforce Vehicle Code laws. These officers concentrate on traffic-related problems and issues identified by citizens in coordination with our neighborhood community-policing program. Patrol officers also enforce traffic laws within the city. To report recurring traffic problems, to request a traffic trailer in your neighborhood, or to contact the Traffic Unit with a nonemergency request, please call 916.625.5424 or email Access Rocklin. Each patrol car in our fleet is equipped with radar speed measurement devices and officers are certified by the State of California in the use of the radar equipment. ”Lidar,” a laser speed measurement device, has been added to our program for use on targeted roads where heavier traffic makes more traditional enforcement difficult. We place traffic radar trailers on different streets throughout our city with the intent of alerting drivers to their speed, to gain voluntary compliance with posted speed limits. The Traffic Unit works closely with the City Engineering Department to gather traffic data in areas where complaints have been received. Traffic survey equipment is used to identify the volume, speeds, and times of violations. The Traffic Unit is deployed based on the results of the surveys. In coordination with countywide efforts and the California Office of Traffic Safety, we conduct DUI checkpoints at various locations throughout the city. We respond to all motor vehicle accidents occurring on city streets and those involving injury or death on private property. Each traffic accident report is forwarded to the California Highway Patrol for statewide statistical tracking of collisions. Always buckle up and wear your seat belt properly. Remember that residential streets, unless otherwise posted, have a maximum speed limit of 25 MPH. Check your speedometer periodically. Of the number of people stopped for speeding, 7 out of 10 were not aware of how fast they were driving.